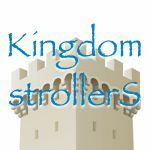 Our first photo report of 2017 brings us to the Magic Kingdom to see the latest adjustments and merchandise additions around the park. Let’s jump right in, shall we? They have slowly been repaving the area outside of Mickey’s Philharmagic over the last few weeks. Some new Villains shirts available at Sir Mickey’s. A new Belle shirt for sale as well. Christmas stickers were being given out all around the park. Liberty Square Market has started selling Muppets plush since the show is nearby. They can’t sell baked potatoes anymore, BUT LETS STOCK SOME PLUSH! If I haven’t mentioned it before, Pecos Bill’s has recently become my favorite counter service stop at the Magic Kingdom. The fajita dish is pretty good and offers more than enough food. The bowl is pretty good as well, considering you can load it up at the toppings bar. We found some baby ducks hanging out by Tomorrowland. I’ve never seen them this late in the year. Stitch’s Great Escape reopened for a bit every day to combat the crowds in the park. It actually was getting quite the line. The walls that have been up since the rock painting began have now finally come down. The decal over the entrance has been falling off for months, but I suppose there’s no reason to invest in something you are closing. We pretty much just went in to say hello to Skippy who stayed over from the Alien Encounter attraction. When seats are broken, you will sometimes still see these XS Tech “Temporarily Seized” seat covers. The new customizable Star Wars name tags are also available at the Merchant of Venus, not just at Hollywood Studios. 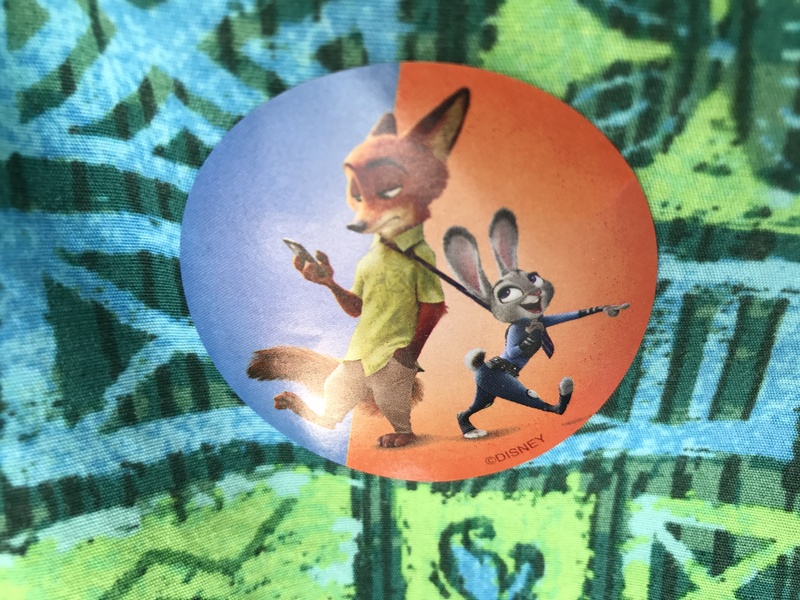 They are now regularly handing out Zootopia stickers in Tomorrowland for some reason. There its some heavy construction taking place near the Kingdom Cabanas adjacent to Space Mountain, not sure what for as of yet. One of the first MagicBand 2’s available to guests is this “it’s a small world” 45th anniversary band currently available. There is a matching phone case available at D-Tech on Demand at the Tomorrowland Light and Power Co. at the exit of Space Mountain. Here’s hoping they do all of the 1971 attractions as a series of MagicBands and phone cases. They also now sell Sparkling Dasani in bottles. Even during Christmas week, the Magic Kingdom did not sell out any of the Tiana’s Riverboat Party events. Be sure to read our review if you were thinking about attending this add-on event. Big Top Souvenirs is now offering leather engraving. 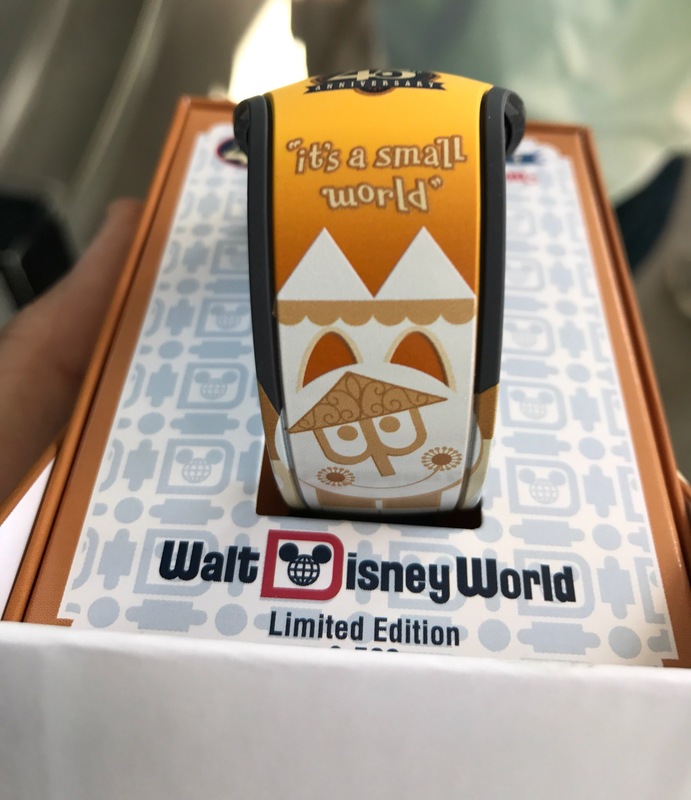 I managed to find the two limited release 2017 MagicBand 2 designs here as well. I’m not sure if this will stick around, but the Mad Tea Party was now using numbers on the ground to properly count out guests before loading the ride. The Starport Seven-Five sign inside of Space Mountain while aboard the Peoplemover has been damaged pretty much since it was installed in 2009. It was finally replaced last month and looks great. stitches great escape is still closing forever for a new ride soon? Hi, how do you know that their going to change the stitch ride! It hasn’t been confirmed, but pretty much the talk among Cast Members and insiders is that this attraction is going to close permanently this month, and be replaced with a a Wreck It Ralph VR racing simulator. while this ride(Wreck It Ralph) was confirmed to be coming it has now hit some financial snags and has been rumored to be scaling back significantly so it has almost come to a stand still as far as moving along. No, no. They’re actually doubling the budget because testing is going so well. It’s going to be a groundbreaking attraction. Wreck in Ralph was rumored long ago. It’s slated now to be another segment of the Mickey Star Traders store, which will sell merchandise. Another attraction dies to sell cheap toys. Not a win for guests. Please do the Tony’s review next! We are leaving a week from tomorrow and are doing the parade viewing lunch package! For the star port sign I had no clue that the sign was even ruined! ? & I also didn’t know that they had already fixed the sign, too! ☺ just saying☺. Love this info. You mentioned Liberty Square can’t sell baked potatoes. Why? We always loved to get them, (especially baked sweet potatoes) But noticed several years ago they stopped. Peace, love, Mickey Mouse! Thank goodness because the Magic Kingdom needs a lot of work. Is it just me or does anyone else think it’s ridiculous to actually pay money for a plastic magic band?!? $32.99 for a”limited edition”. Give me a break. Pfft. Once I’m done my vacation they are garbage.